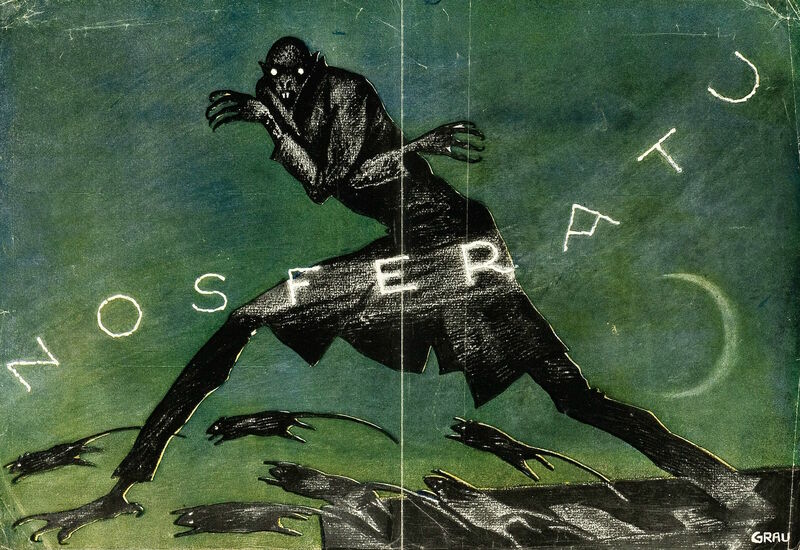 Even though Nosferatu is an adaptation of something we already talked about, it's different enough from Dracula that it bears mentioning on its own. 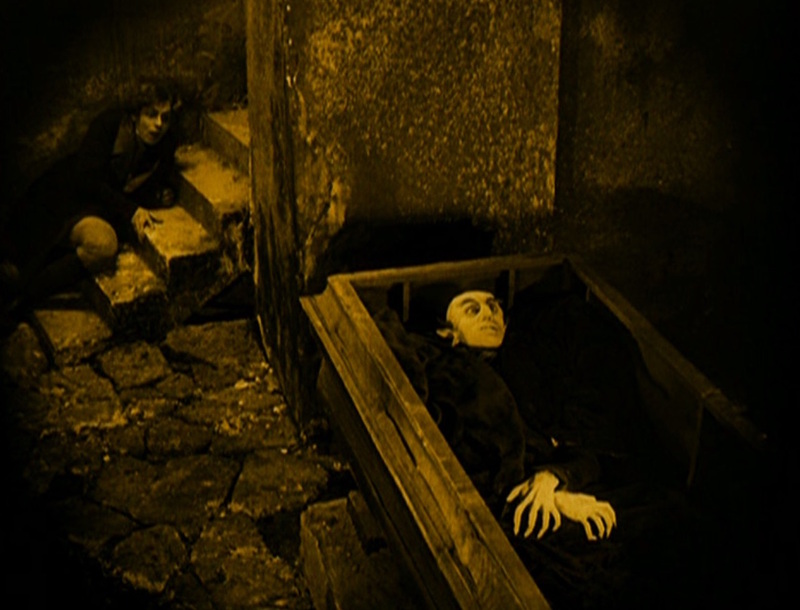 It's got the same themes about decay and the same count who's trying to overpower the same girl, but it's everyone's reactions to the count (Orlok in this version) that sets Nosferatu apart. As a way to simplify the plot, Ellen's support team is severely cut back. Some of that we're used to in later versions. Quincey and Lord Godalming almost never makes it into films, and Seward is often turned elderly and made Mina or Lucy's dad. Not that there's anything wrong with being elderly. It suits Van Helsing just fine. But Seward as a father is never a powerful ally. 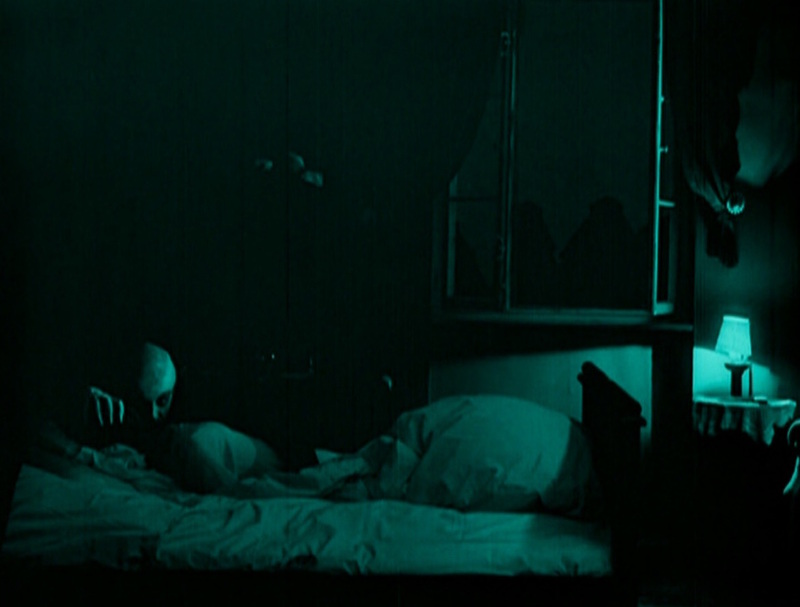 In Nosferatu, the Seward character is about the same age as Ellen and her husband, but he also pretty much disappears once Orlok arrives in town and stuff gets real. And weirdly, so does Nosferatu's version of Van Helsing. The only person who really sticks close to Ellen is her husband, but he's just recently escaped Orlok's influence himself and is still weak. That changes things because it makes Ellen the sole defender of her village against Orlok. Heroically, she's not even concerned about herself, especially when she learns that the way to defeat Orlok will require a profound act of self-sacrifice. Because of that and how she handles it, I really like Mina in Dracula, but I love Ellen.